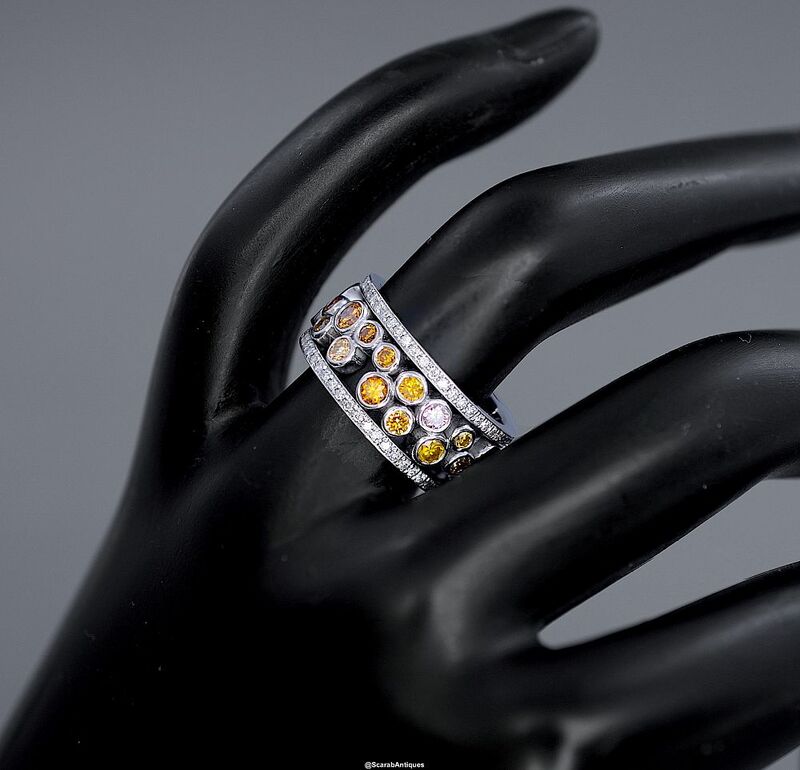 The outer edges of this 18ct white gold ring consist of a diamond set band between which are various round white and mixed fancy diamonds of varying sizes randomly set in rubover settings. 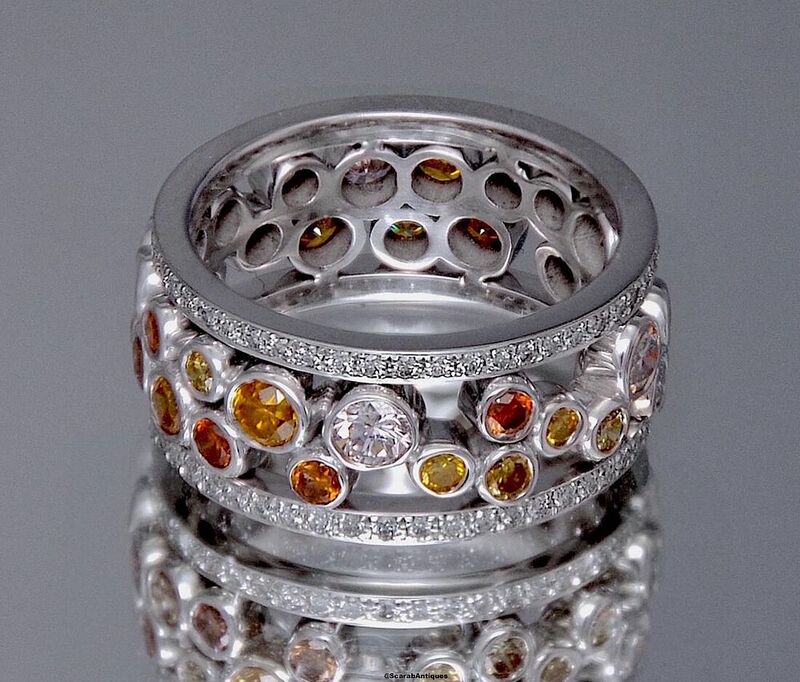 The natural fancy diamonds range in colour from light pink yellow orange and dark & light brown. A really lovely ring.